Intercontenental Short Track Invitational – This weekend! With no skating this weekend, why not pick up a few race tips from watching Toronto skater Hayden Mayeur compete in the first ever Intercontinental Short Track Invitational this weekend. This is the first time this event will be held, and will highlight up and coming skaters from 6 countries. This new competition has a total of 39 skaters (21 Men, 18 Women) with 22 athletes hailing from Russia, Belgium, Poland, Norway and Great Britain. 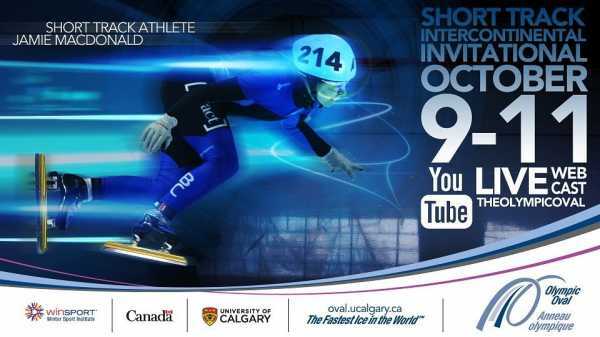 This event will also feature several of the Calgary Olympic Oval trained Canadian junior and national B team skaters. For live stream and twitter links please check out the Oval page here..